You’ve definitely heard of virtual reality (VR). Everybody has. You might even own an Oculus Go. But despite its initial popularity, VR has not reached its full potential. We’re all waiting for VR to change—to revolutionize—how we work, how we experience the world, and how we live. While VR has made significant steps toward the future, it’s still essentially a market for the entertainment world. VR changed gaming remarkably, and new products for VR gamers are constantly released. At the Consumer Electronic Show (CES) this year, Brad Griffith, president of Buckeye Interactive, a technology innovation partner, saw and experienced many new VR inventions. He walked on the moon, saw people flying, and used accessories such as toy guns in the VR games. Clearly, the entertainment industry is benefiting from VR’s innovation and will only continue to do so. Additionally, VR has also made its mark on the job training industry. 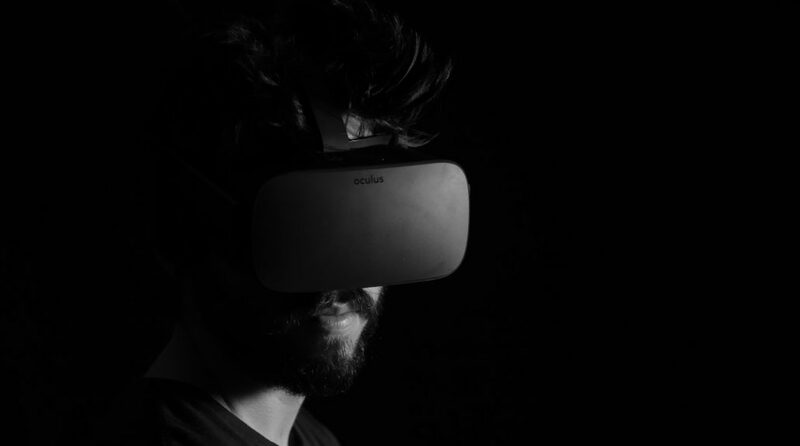 No longer are employers just expecting you to pass a few written tests; they’re relying on VR training to teach you how to react to actual situations you’ll encounter at work. VR’s presence in the entertainment industry is spectacular, but VR’s presence at CES as a whole wasn’t that prominent. So what happened to that crazed hype VR caused a few years ago? Why hasn’t it taken over the world as many people claimed it would? In order to get to the why, we must look back to how it all started. VR isn’t a new idea. It’s been around since the 1800s, roughly. The invention of the stereoscope in 1838 opened the door to literally a new reality. Nothing has been the same since! The stereoscope introduced the concept of experiencing our world in an entirely new way. By viewing two stereoscopic images through a stereoscope, the user is immersed in a virtual world. According to the Virtual Reality Society, the modern-day Google Cardboard and the VR head-mounted displays for cell phones both use the design principles of the stereoscope. Since then, the inventions and ideas have just grown exponentially. We’ve come a long way in developing VR technology. But the intention behind the concept has stayed the same: we want to see how many different perspectives we can create of our world, of our reality. For instance, Augmented Reality has also developed tremendously, and we’ll be seeing more and more implementation in the future. AR differs from VR in that it takes our current reality and adds something to it without moving us somewhere else. Nonetheless, both AR and VR strive to change our perspectives. For obvious reasons, new realities have intrigued and continue to intrigue all of us. What’s out there? VR created a huge hype a few years ago because of its grand implications. Can we really put on a pair of goggles at home and go to work? Can we really recreate memories and live them again whenever we want in the worlds we create? Is it really possible VR can decrease a patient’s pain? Can it cure PTSD? While VR has definitely made a dent on some industries, it certainly hasn’t fulfilled its many promises. Some people think this is because the technology isn’t quite there yet. The user experience isn’t as smooth and accessible as it could be, the products are still very expensive, and it lacks a social aspect. As mentioned above, VR hardly made an impression at this year’s CES, the largest technology trade show in the world. The products all revolved around entertainment or job training and were predictable. It seems as though VR hasn’t been given enough time to develop in secret. However, technology doesn’t seem to be the main problem. It’s the lack of awareness VR inherently creates that stirs fear. With goggles on, you lose the ability to be completely aware of your surroundings. While you’re immersed in this virtual reality, you’re disconnected from actual reality. If VR could really allow us to work virtually and teleport ourselves, what would that mean for actual reality and our actual selves? This state of being can be dangerous to the user and to the people around the user. Also, how would we differentiate between virtual reality and actual reality? How will children? Furthermore, there are health concerns related to VR. Nearsightedness and nausea are two of the main ones, and too much VR isn’t good for anyone. Perhaps these fears keep holding VR back. But VR isn’t dead, and it won’t die. It has been around as a vibrant idea for centuries, and ideas like that never die. Its fate is entirely in our hands as we look at ourselves and our futures and decide what we want. We will massively benefit from VR in the health, entertainment, business, and overall job industries. But with the benefits come the downfalls as they do with all technology. Only when we’re ready will VR fulfill its promise, reach its potential, revolutionize the world. Milica Mijatovic is a content strategist for Buckeye Interactive. She loves working with words in creative and engaging ways because words are inspiring and quite subtly profound. She writes poetry and listens to music daily, and is definitely addicted to traveling. Anywhere, anytime. Previous Article Previous post: Heads Up, FaceTime Users: Are you being bugged?